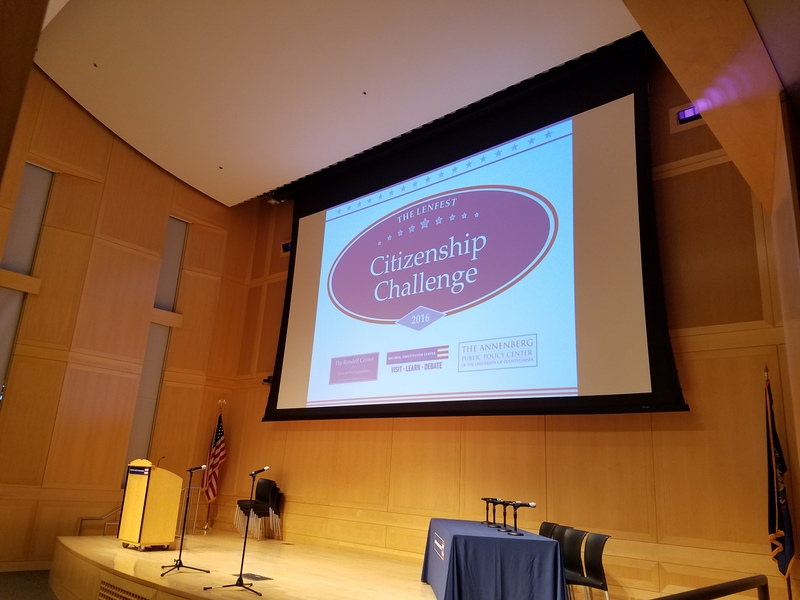 The Lenfest Citizenship Challenge allows classes and students to express themselves regarding a current issue facing our democracy. 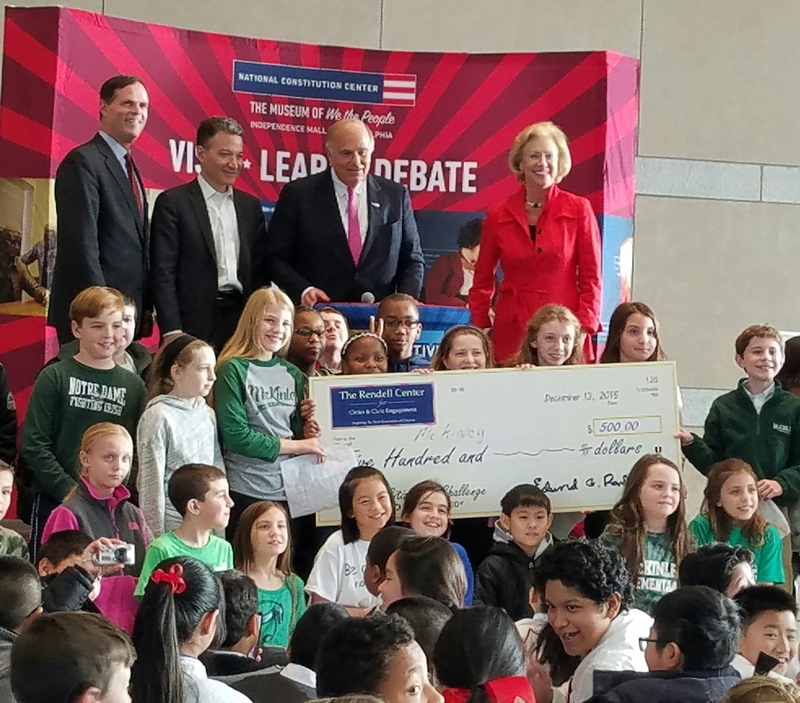 Classroom teams write and submit essays that address their team’s point of view on the issue posed each year. 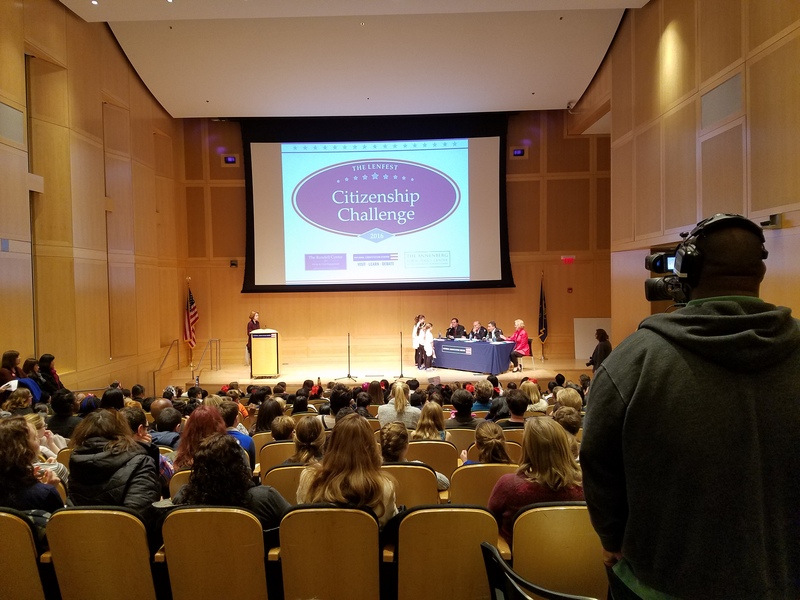 The Challenge is drawn from PA Civics standards relating to principles and documents of government; rights and responsibilities of citizens; and information on how government works. 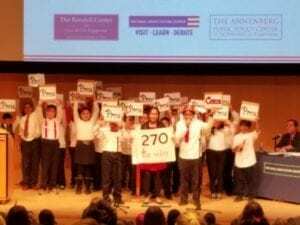 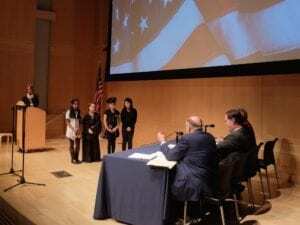 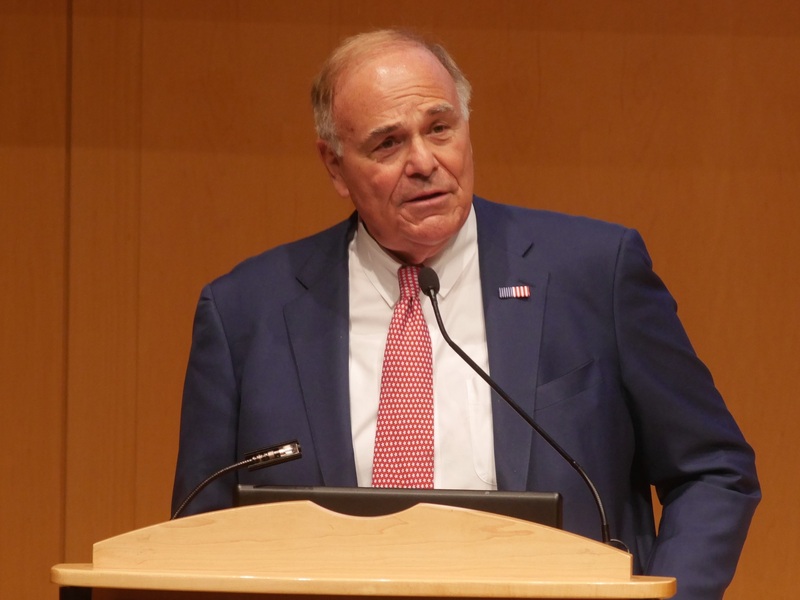 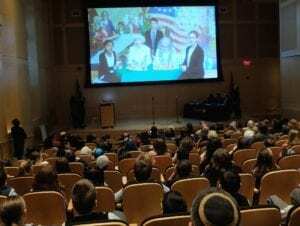 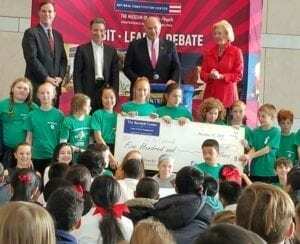 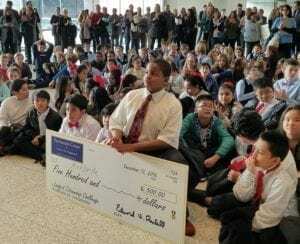 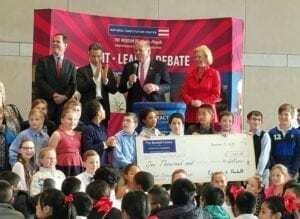 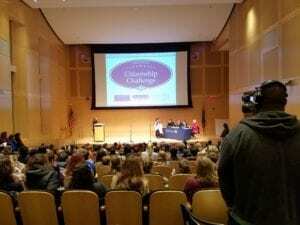 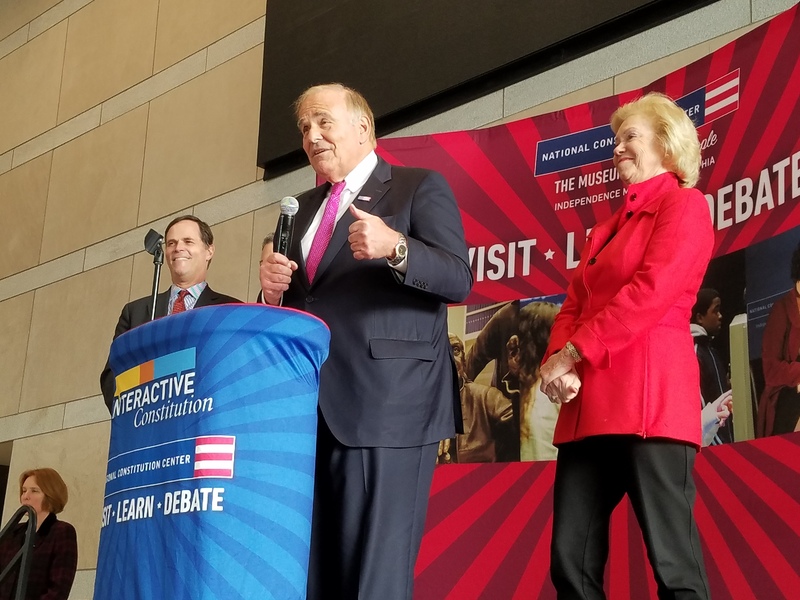 For the fourth consecutive year The Rendell Center for Civics and Civic Engagement invited Philadelphia area (Philadelphia, Chester, Delaware, Bucks and Montgomery Counties) 4th and 5th grade classes to participate in their annual civics essay contest, The Lenfest Citizenship Challenge. To coincide with this year’s Presidential Election, our Challenge Question focuses on The Electoral College and the Presidential Election. 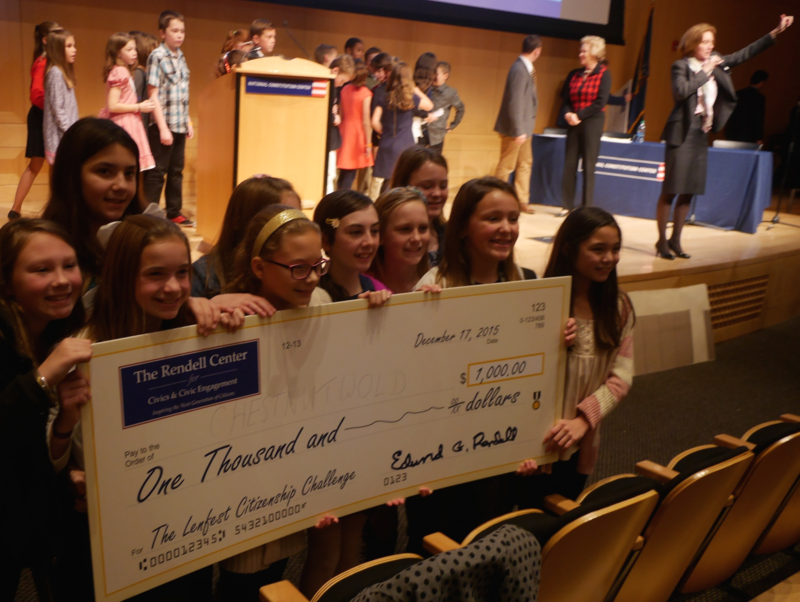 From the presentations of this year’s finalists, we are happy to announce the winners! 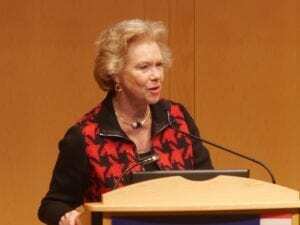 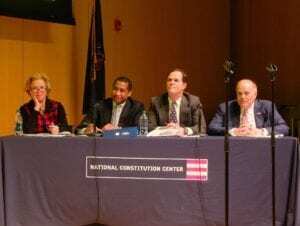 Q: Should the Constitution be amended to eliminate the Electoral College system for selecting the President and replace it with the national popular vote? 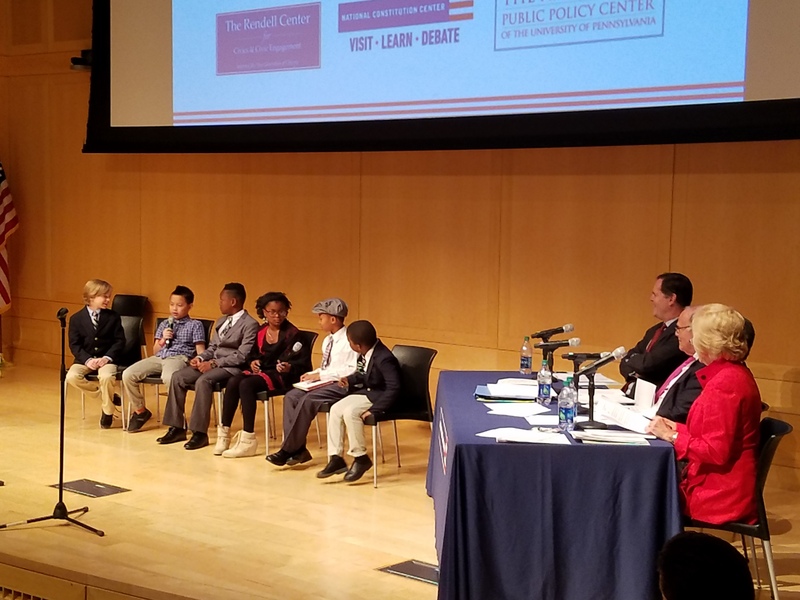 For the third consecutive year The Rendell Center for Civics and Civic Engagement invited Philadelphia area (Philadelphia, Chester, Delaware, Bucks and Montgomery Counties) 4th and 5th grade classes to participate in their annual civics essay contest, The Lenfest Citizenship Challenge. This year was no different from previous years in that the finalists’ presentations were well thought out, engaging, and informative. Once again, we thank all of the schools that participated in the 2015 Challenge, and look forward to everyone’s participation in 2016. 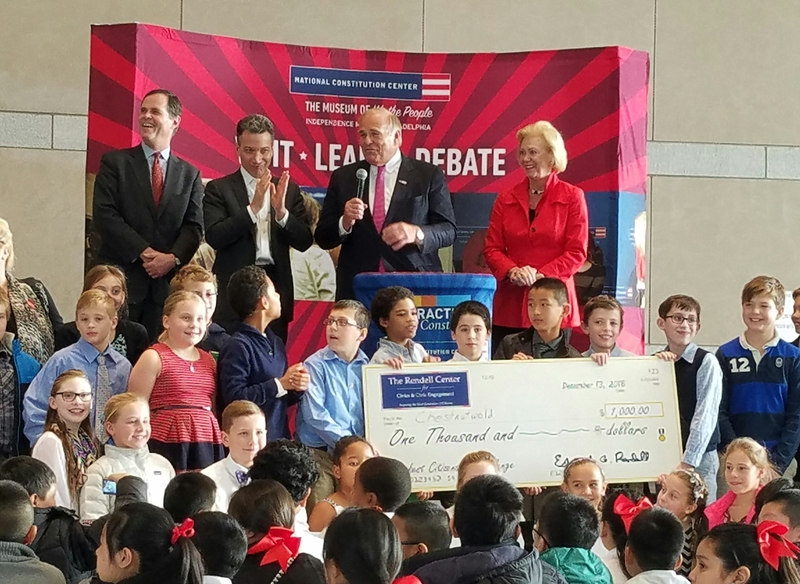 The Lenfest Citizenship Challenge allowed classes and students to express themselves regarding a current issue facing our democracy. Classroom teams wrote an essay that addressed their team’s point of view on the issue. 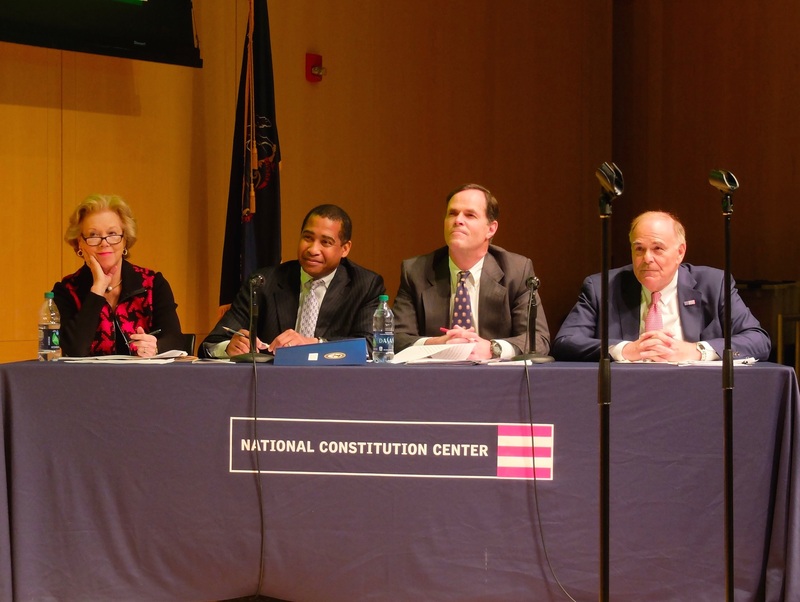 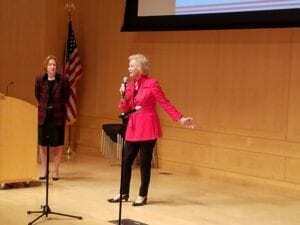 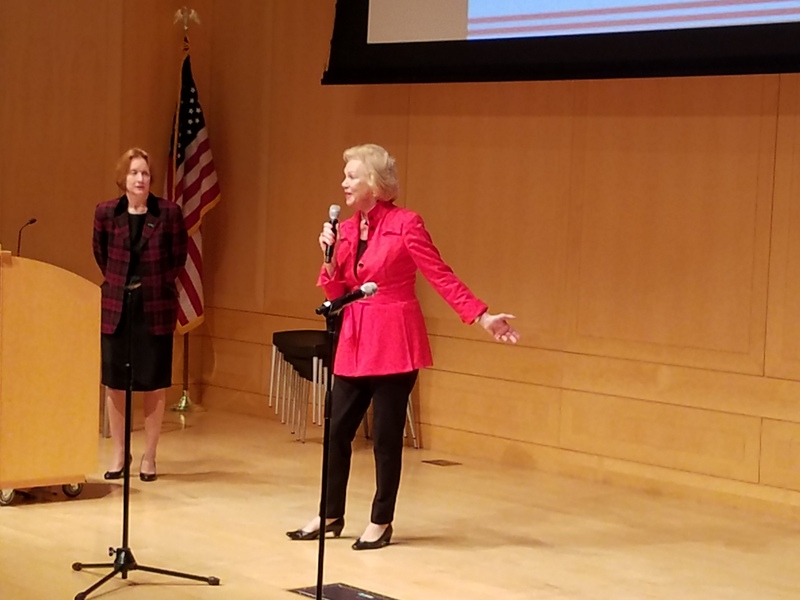 The contest was drawn from PA Civics standards relating to principles and documents of government; rights and responsibilities of citizens; and information on how government works.